Nvidia smashed through records in Q1 2018, reporting record revenue of $ 3.21B in what’s normally a seasonally lower quarter compared with Q4. Overall revenue rose 66 percent from the previous year and 10 percent compared with the previous quarter. The company reported strong results in every segment of its business. Gaming revenue rose to $ 1.72B, up 68 percent year-on-year. Tegra processor revenue (that’s Switch) rose 33 percent, to $ 442M. This figure does not include cryptocurrency sales (Nvidia reported cryptocurrency revenue of $ 289M). We’ve taken the financial data provided by Nvidia, but adjusted the graph slightly to put fiscal quarter Q1 2018 (that’s Q1 2017 on the calendar) next to FY Q1 2019 (Q1 2018) for easier comparison. Nvidia’s huge surge in gaming profits, driven by the extreme price inflation in the GPU business, accounts for much of the change, but by no means all of it. Of Nvidia’s total revenue improvement ($ 1.27B), $ 696M came from gaming, while $ 574M came from improved revenue across the rest of its business. One interesting note, though I wouldn’t read too much into it. During its last conference call, AMD predicted that cryptocurrency would constitute 7-9 percent of its revenue for the full year 2018. Nvidia’s figure of $ 289M for its cryptocurrency earning puts it at 9 percent of NV’s earnings for the quarter as well. At the core, the program was about making sure that gamers who buy graphics cards knows exactly the GPU brand that’s inside. And the reason for that is because, we want gamers to – the gaming experience of a graphics card depends so much on the GPU that is chosen. And we felt that using one gaming brand, a graphics card brand, and interchanging the GPU underneath causes it to be less – causes it to be more opaque and less transparent for gamers to choose the GPU brand that they wanted. And most of the ecosystem loved it. And some of the people really disliked it. And so instead of all that distraction, we’re doing so well. And we’re going to continue to help the gamers choose the graphics cards, like we always have, and things will sort out. And so we decided to pull the plug because the distraction was unnecessary and we have too much good stuff to go do. This isn’t a very good explanation. Gamers are not confused by whether a box has an AMD or Nvidia GPU, because brands take pains to label products in a way that makes this information accessible. But Jen-Hsun’s statement can be read to imply that the program was canceled because of OEM pushback or user feedback. If I had to guess, I’d bet on the former. Nvidia has weathered storms of criticism before, on topics ranging from PhysX to GameWorks to DirectX 12. The company takes these sorts of challenges in stride. 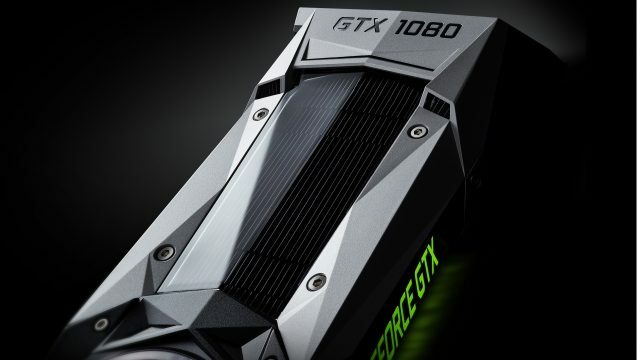 Nvidia is widely expected to launch new GPUs this year, but this single line explains quite a bit about why it can take so long for games to take full advantage of architectural features. Some of this is attributable to OEM systems that sell with lower-end GeForce hardware — these people count as part of Nvidia’s install base, but if you’re buying a laptop with a low-end dGPU in it you still may not upgrade for 3-5 years. But given that integrated graphics now dominate the notebook segment outside boutique buyers and gamers, this is likely to be less a factor than it once was. If only 35 percent of Nvidia’s total install base is on Pascal after two years, this explains why capabilities like DirectX 12 have yet to take the gaming world by storm. Nvidia expects Q2 to be better than seasonality, which, at the rate the company is raking in cash, implies an excellent quarter indeed.